PALM BEACH GARDENS, Fla. – Lorne Rubenstein, who spent 33 years as a golf columnist while writing 14 books and contributing to magazines around the world, has been named the recipient of the 2018 PGA Lifetime Achievement Award in Journalism. 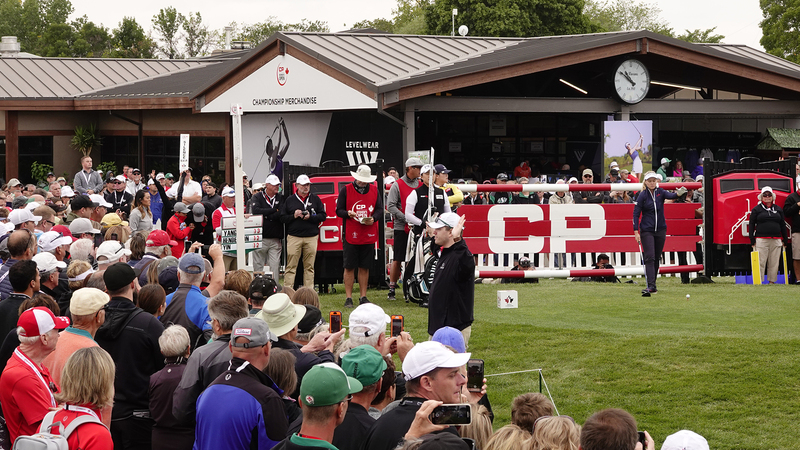 Rubenstein, a native of Toronto, will be honored on April 4 at the ISPS HANDA 46th Golf Writers Association of America (GWAA) Annual Awards Dinner at Savannah Rapids Pavilion in Augusta, Georgia. Rubenstein, 69, is the 29th recipient of the PGA Lifetime Achievement Award in Journalism, which recognizes members of the media for their steadfast promotion of golf, both locally and nationally. Rubenstein’s work spans more than 50 major championships, Ryder Cups and Presidents Cups as well as some 40 Canadian Opens. Born in Toronto, Rubenstein began playing golf at 12 while continuing to compete in hockey, football and baseball. A graduate of York University in Toronto in 1970, Rubenstein earned an M.A. in psychology from the University of Guelph (1974). He worked as part-time curator-librarian for the Royal Canadian Golf Association (RCGA, now Golf Canada), while pursuing a doctoral degree in psychology. He withdrew to focus on writing about golf. 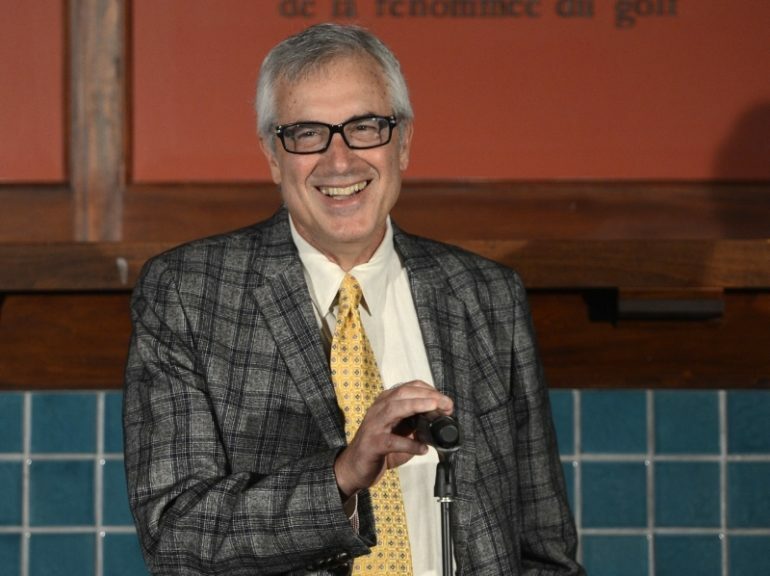 In 1980, Rubenstein became the first editor of SCOREGolf Magazine and a weekly columnist for The Globe and Mail, Canada’s national newspaper. 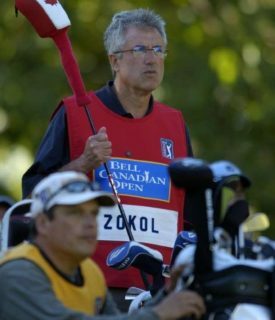 Personal golf experiences enriched Rubenstein’s work, including caddying in the 1970 Canadian Open for former U.S. and British Amateur Champion Bob Dickson, with whom he developed a long friendship that led to more connections with professional golfers. 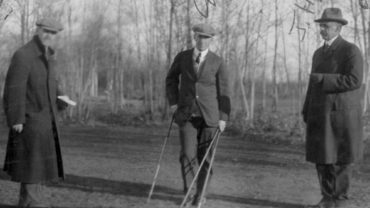 He caddied on tour part-time for Dickson and then for two-time Canadian Amateur champion Jim Nelford until 1982. During that period, Rubenstein led the club championship at the Uplands Golf Course in Toronto after 54 holes. He was unable to fend off multiple swing thoughts and struggled to a 78 in the final round. He lost and went home to write about the experience, and sent the article to Golf Digest. The editor was encouraging, but didn’t publish his offering. Still, the encouragement kick- started his writing career. 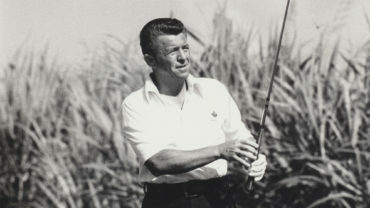 Two years later, in 1979, he previewed the Canadian Open for Toronto Life magazine – “Psychology of the Swing,” focusing on Canadian great George Knudson. After publication, Knudson left a voice message, “You have your foot in the door. Just keep writing and good things will happen.” One of the “good things” was The Natural Golf Swing, the book he co-authored with Knudson, an eight-time PGA Tour winner. Rubenstein is a four-time award-winner for magazine features/newspaper columns in the Golf Writers Association of America (1988, ’93, ’94, and 2003); won the 1985 Canada National Magazine Award; and has three first-place awards from the Golf Journalists Association of Canada (2009, ’16, and ’17). 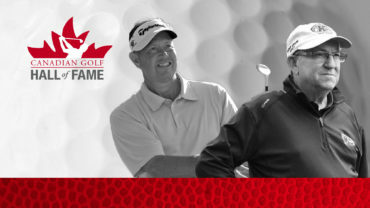 He was inducted into the Ontario Golf Hall of Fame (2006), the Canadian Golf Hall of Fame (2007), and is a recipient of Sports Media Canada’s Lifetime Achievement Award (2009) and the PGA of Canada’s Distinguished Service Award (2013). Rubenstein lives in Toronto and Jupiter, Florida, with his wife, Nell.